Fine mesh is defined as having a particle size predominantly between 0.045 and 0.180mm (80 and 325US Mesh). 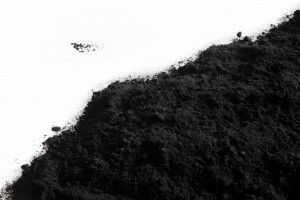 Powder activated carbon according to the EC Council The EC COUNCIL REGULATION No 649/2008 of 8 July 2008 defines Powder Activated Carbon (PAC) as consisting of at least 90% by mass (% W/W) of particles with a size less than 0.5mm (35US Mesh). For seasonal applications like taste and odour control in drinking water. > Find out more about other activated carbon applications Using powder activated carbon always results in spent or used carbon that cannot be recycled and thus with a chemical waste. Today many users are switching from the traditional use of powdered activated carbon as a disposable chemical. By this change they are following the modern tendency towards recycling and waste minimisation, thereby reducing the use of the world's resources. Our activated carbon specialist have been deeply involved in switching powder activated carbon users to continuous adsorption processes using mobile systems like the MOBICON® , AIRCON® and fixed bed systems like the FILTRAFIX®.